Pre-stretched and coated (x3) canvas made af 100% cotton. 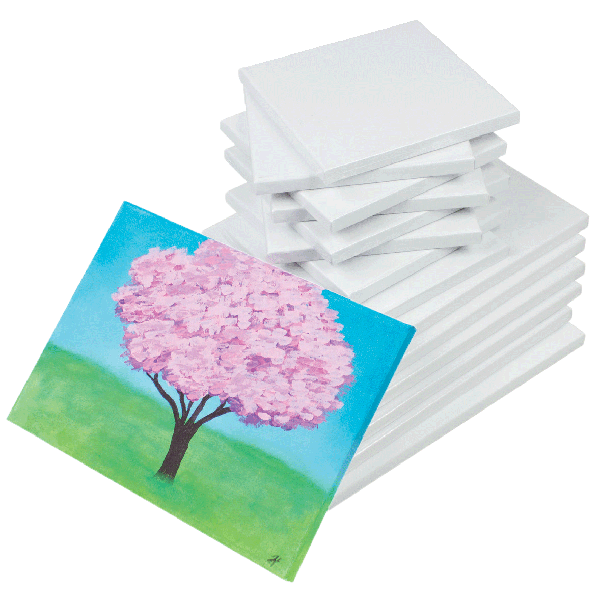 Suitable for both oil and acrylic painting as well as wotk with stencils, stamps and decoupage. The relative hard surface makes it easy ta work with. 16 different sizes. Delivered in 5- or 10-pack.